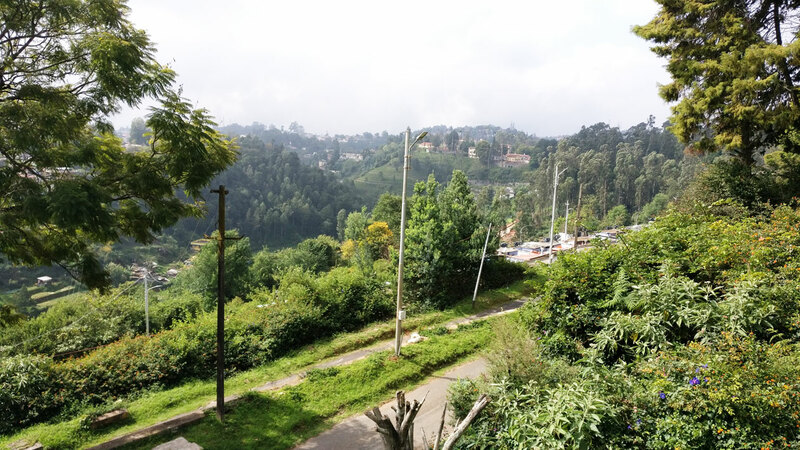 A nostalgic journey to the Nilgiris to refresh old memories ended up with me making some new ones – that left a lasting taste on both my palette and my heart. 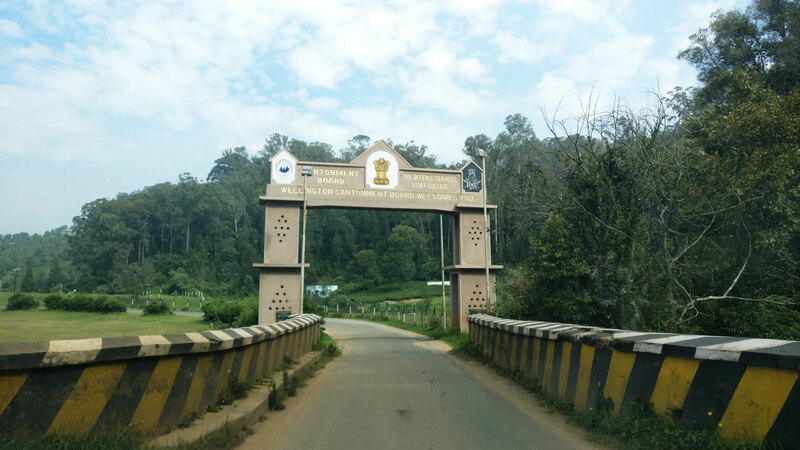 A trip to the Nilgiris had always been on my bucket list, and a chance to reconnect with my fauji roots was the ultimate excuse that took me to Wellington Cantonment near Coonoor last week. Not only was my destination breathtakingly serene, but it also offered quite the culinary trail. 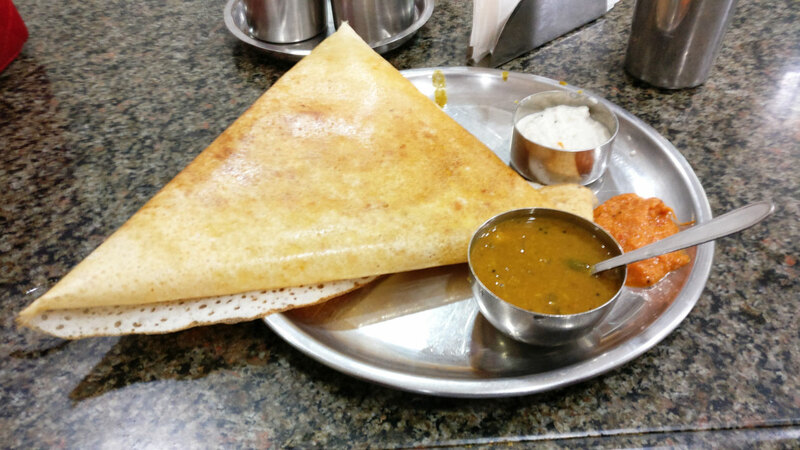 An early morning breakfast in the south is incomplete without a crispy Dosa and Filter Coffee. 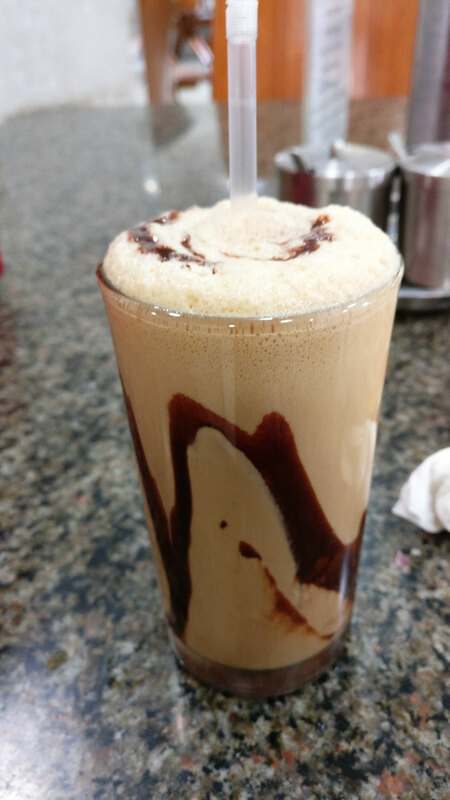 This was a Ghee Roast Onion Dosa with cold filter coffee – a first for me to have filter coffee cold. Post our traditional breakfast we went for a stroll and did some amazing shopping – jams & preserves made from local produce. My tummy started rumbling pretty soon after, and this time we chose to go for Italian food and have pizza at a quaint little cafe. 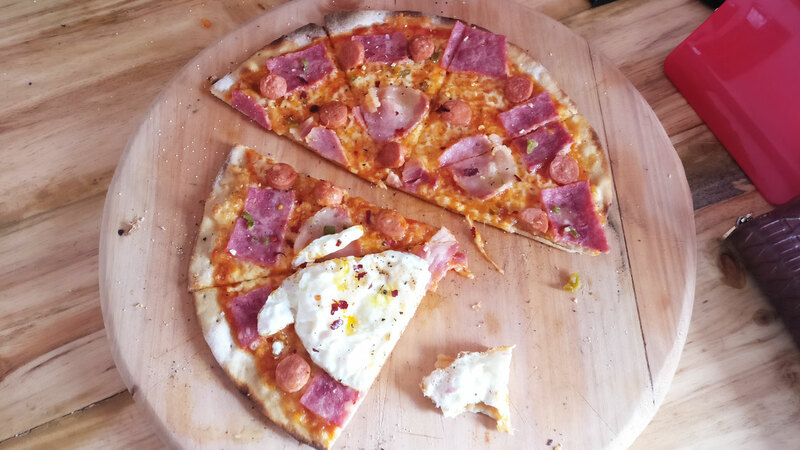 I ate the thin crust pizza with bacon, ham, sausages and fried egg. It was just the perfect crust with the right amount of cheese and chilli garlic oil… mama mia! 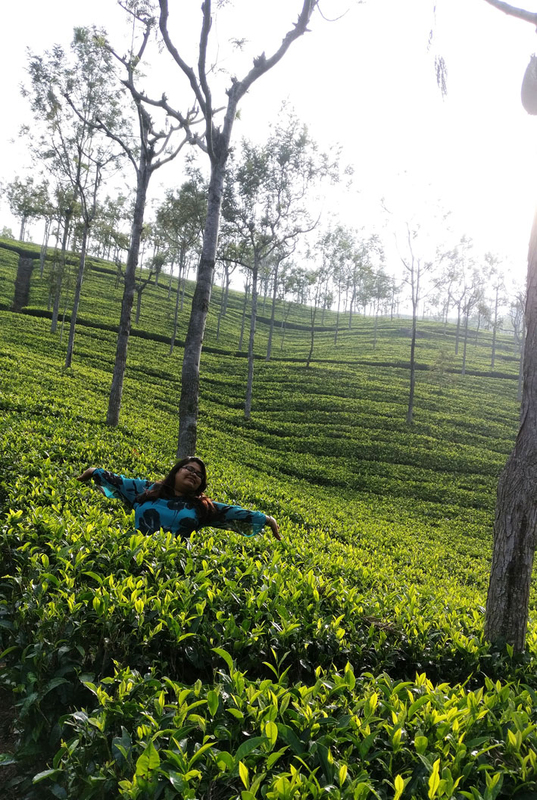 After a rather sumptuous lunch we decided to visit the Glendale Tea Oasis of Coonoor, where it seems I ‘reenacted a famous DDLJ scene’ (pointed out to me with great amusement by my darling sister Aesh). 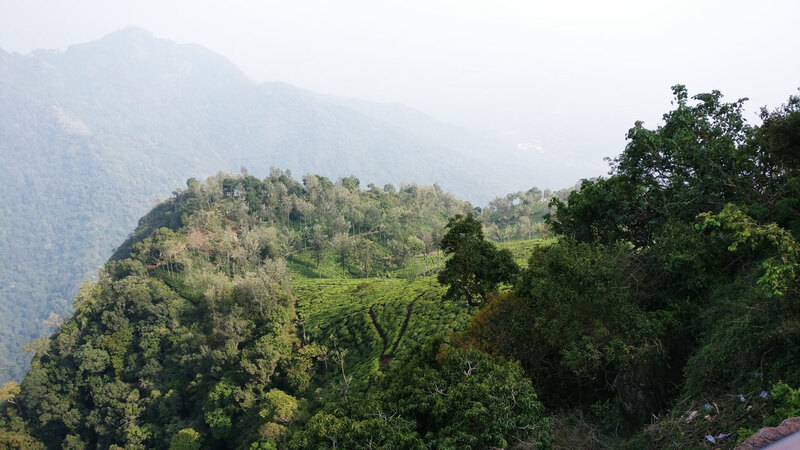 The best part of the tea gardens visit was the freshly brewed tea and snacks served right in the middle of the most picturesque landscape. As they say, take life one cup at a time, and so I did. 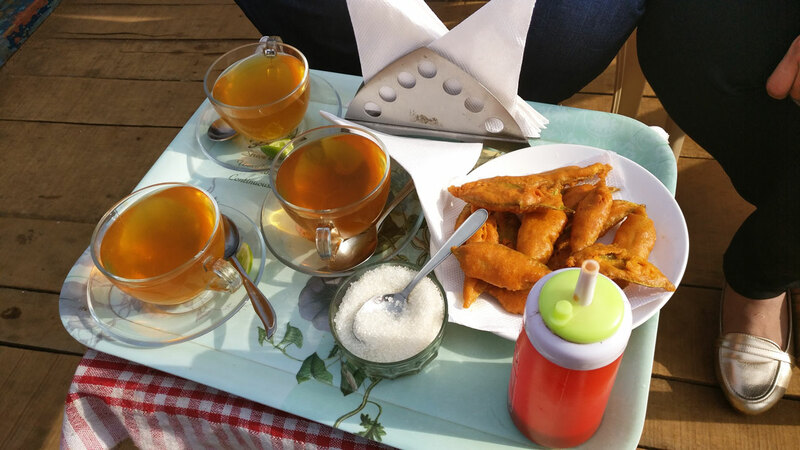 The ginger lemon tea was delicious and the tea leaf bhajjis were crunchy even though they were coated in a thick, spicy batter. 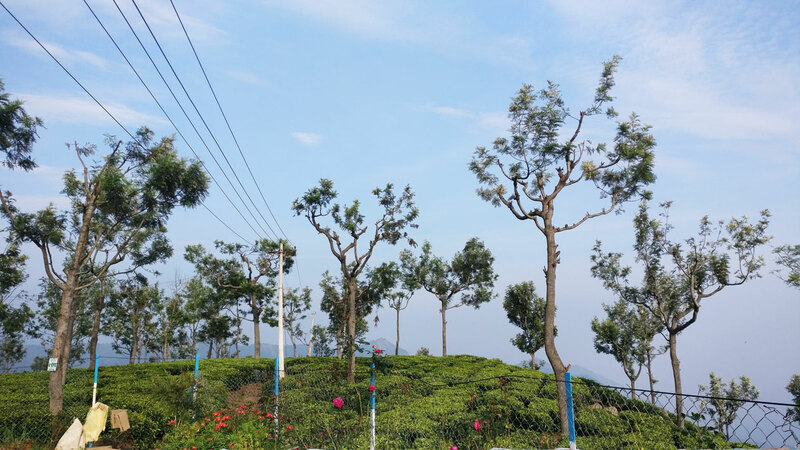 The amma who made our tea told us of the concept of utilizing the entire plant so nothing goes to waste. Such a creative way to use tea – definitely something new for me. With some good food in my belly and fresh air in my lungs (away from smoke-filled NCR where I live) I just didn’t feel like spending a minute indoors. Lucky for me, I got invited to a barbecue for dinner. I was visiting an old friend married to a Naval officer posted in the Defence Services Staff College, one of the most prestigious defence institutions in the country. The barbecue was organized by Naval officers studying at the college, and I have to say that faujis know their meats. It was a windy and chilly night (11 degrees temp.) 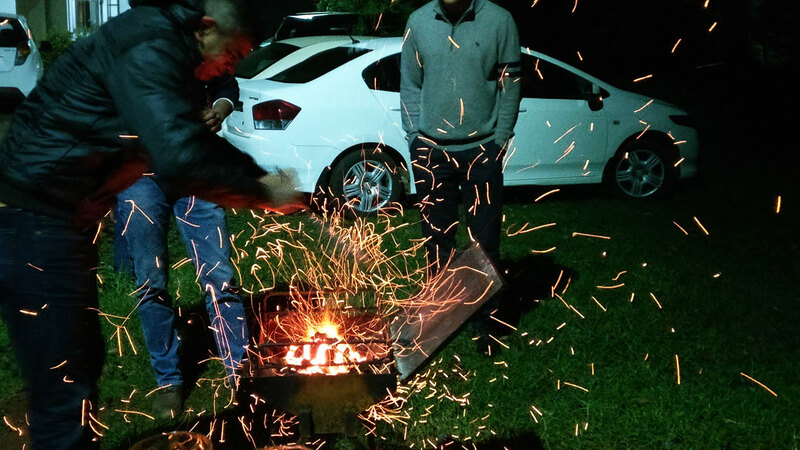 but the barbecue was set up! 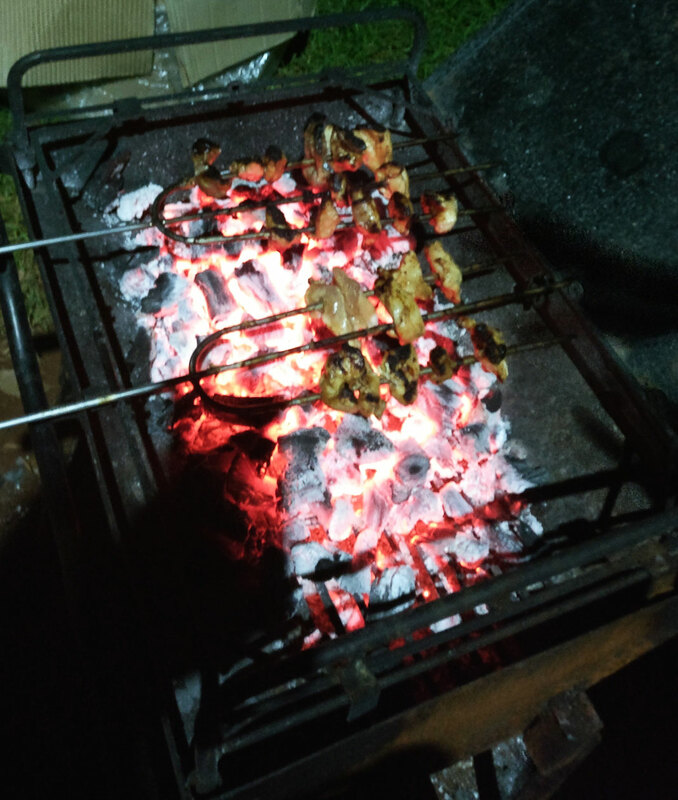 There were skewers galore of succulent chicken and mutton marinated in a secret spice mix – completely drool worthy. This entire journey was just beautiful, and fulfilling, and I sure as hell did eat a lot of great food. Simple but great, and it doesn’t get any better than that. 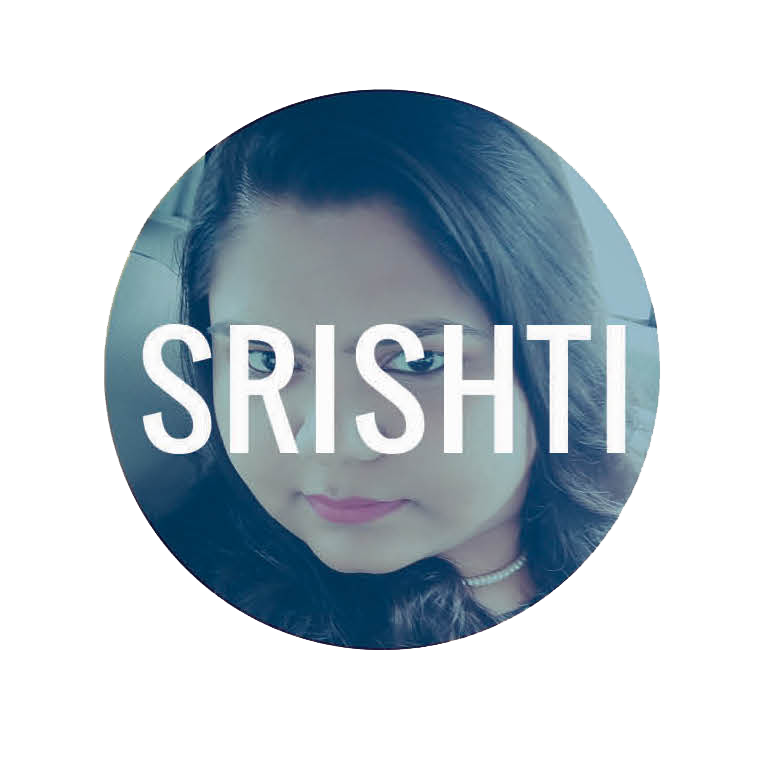 Srishti is a food lover with wanderlust, and loves to explore new cities through their cuisine. You can always count on her for exciting and unusual food recommendations.